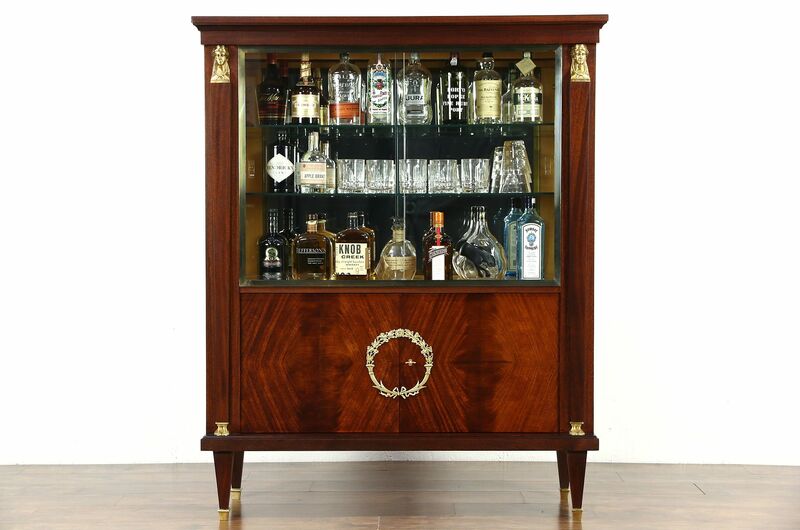 A classical design bar, china or curio display cabinet from Denmark has gold plated heads, feet and a laurel wreath. The restored finish is in excellent condition on mahogany with matched flame grain panels. Sliding glass doors open to adjustable shelves. The lower door has a working lock and key on this elegant 1950's vintage furniture. Dimensions are 48" wide, 17" deep and 59" tall.